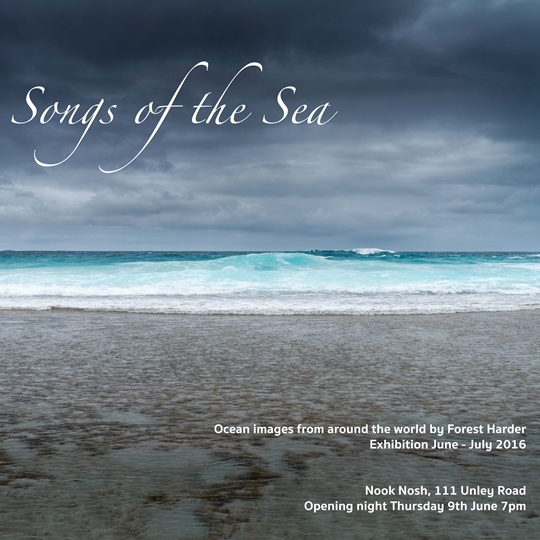 Songs of the Sea: An exhibition of ocean images from around the world by Adelaide photographer and former CCP student, Forest Harder. On display at Nook Nosh, 111 Unley Road. Opening Thursday 9 June 2016 at 7pm, the exhibiton will run through June and July.